cancer treatment side effects in the months and years after treatment. No prior yoga experience is necessary. If you are interested in participating, please contact Cheryl Fenner Brown at 510-290-2641 or snd an emailto set up an intake interview beginning in March. 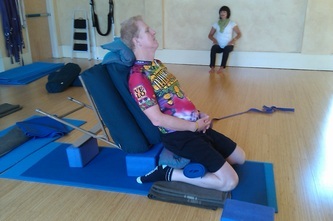 All interviews and yoga sessions will be held at Cancer Support Community in Walnut Creek, CA. 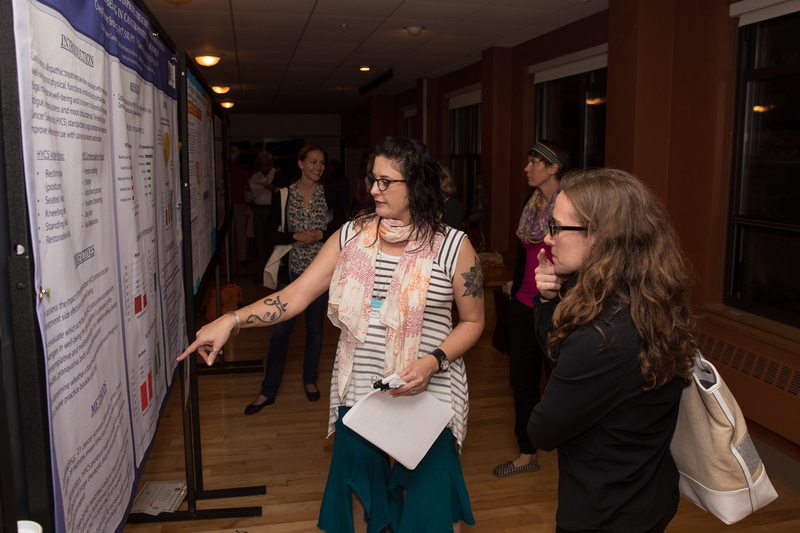 This research is sponsored by both Piedmont Yoga Community and the Cancer Support Center. This study is now closed. To read about the results, please click here. Healing Yoga for Cancer Survivorship is a research study on the potential benefit of yoga practices to reduce the side effects from cancer treatment. The purpose of this research is to build on the knowledge base about the use of therapeutic yoga during cancer treatment to improve patient’s physical, functional, emotional and spiritual well-being and to publish and present findings to the medical, and yoga therapy communities. 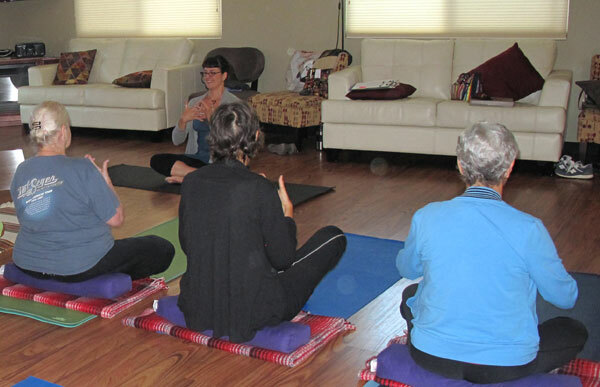 Healing Yoga for Cancer Survivorship is sponsored by the Cancer Support Community of the East Bay, and the Piedmont Yoga Community and made possible by a grant from the Robert Woods Johnson Foundation. 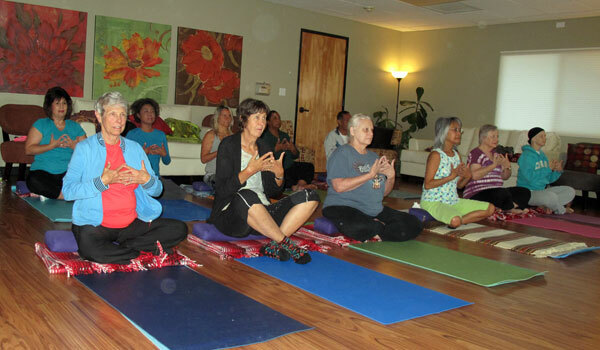 During April and May of 2012 an initial 8-week session was at the Cancer Support Community of the East Bay in Walnut Creek on the healing benefits of weekly yoga practice with 11 cancer patients undergoing treatment. What did you enjoy most about the class? "You are a great instructor. I loved the way you tailored the class to the wants and needs of the students. I looked forward to yoga every week." B.S. "The relaxation and restorative asanas. Your great teaching skills, especially introducing yoga in simple steps and teaching simple and very effective techniques helped to remove the general fear that Yoga is too complex to practice. Overall it motivated us to include yoga in our daily lives." S.N. 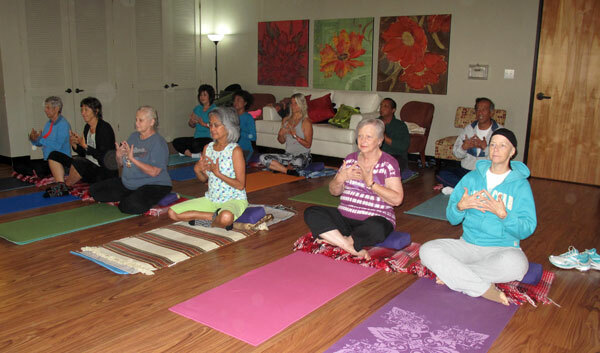 This eight-week session will focus on simple gentle yoga techniques that reduce the severity of cancer treatment side-effects. Participants should be in treatment and will be expected to report on their levels of anxiety, fatigue, pain, sleep disturbance, digestive disturbance, and cognitive disturbance and other factors before the session. 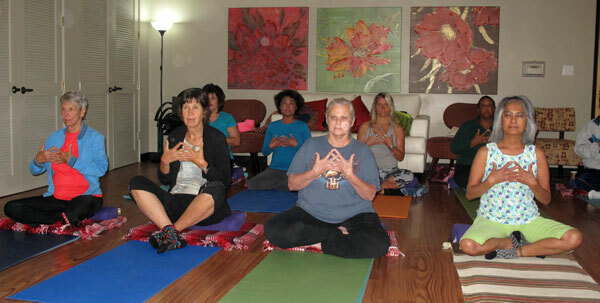 Weekly yoga instruction will include gentle movement, breathing, mudras, yoga nidra and other relaxation techniques. This project is sponsored by the Piedmont Yoga Community. 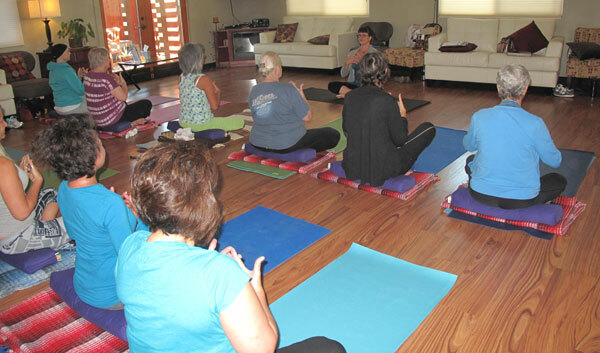 Sessions were held at the Cancer Support Community, 3276 McNutt Avenue, Walnut Creek, CA in the fall of 2013. Online participation was also available.